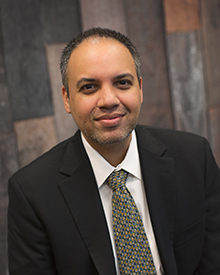 Himanshu Shukla, M.D., specializes in treating heart rhythm disorders and is founder of the Cardiac Arrhythmia Institute (CAI) dedicated to providing heart care customized to the individual. Dr. Shukla is a member of the Heart Rhythm Society, has completed training at Columbia University in New York City, the University of Missouri and the University of Oklahoma. He is recognized for numerous published articles on the treatment of heart rhythm disorders, and by the American Heart Association for Outstanding Research. Dr. Shukla’s community works include raising awareness of heart rhythm disorders, safety and prevention measures through speeches, training and counsel to the community as well as medical personnel; and contributing external defibrillators to local public schools and other entities. In 2003, he was honored by the American Heart Association, receiving its third Annual Cardiology Fellows Forum of Excellence Award. Dr. Shukla served on the medical journal review boards of the Journal of Cardiovascular Research: Journal of the European Society of Cardiology and the Heart Rhythm Journal, the official journal of the Heart Rhythm Society. His work has been published on several occasions in medical journals such as the Heart Rhythm Journal, the Journal of Interventional Cardiac Electrophysiology (JICE), Cardiovascular Research, and PACE, the official journal of the International Cardiac Pacing and Electrophysiology Society. His teachings include Advanced Physical Diagnosis, as well as participating in an Electrocardiogram Lectureship at the Arizona State University School of Nursing. He is a Clinical Rotation Preceptor at Midwestern University, mentoring 3rd year Medical students each rotation. Dr. Shukla speaks regularly throughout the country on the topic of heart arrhythmia, is recognized nationally by his peers on intervention and is consulted often on the use and development of defibrillators, pacemakers and other devices to regulate the heart. He is fluent in Spanish and Gujurati.